Download the PDF files in a single download HERE or download a single letter from the following pages. Check out the free glitter printable numbers from 0 - 9 which goes with this set! Here's another in our new series of free glittery printables for you to download and add to your projects. This is a set of uppercase alphabet letters, including the Spanish Ñ. Download one or more letters depending on your needs or download the complete set here. You can download the letters to make initials to place on the front of cards or letters to spell out names or greetings. You have the option of downloading the full size pdf file or the png file which is smaller. If you enjoy these glitter numbers and would like to see more like this then do pin the image above and spread the word via social media. These printable numbers are available for your personal or low level commercial use. These files are copyright Kate Pullen. Please do not distribute the files, instead, please give people the links to these pages so they can download their own and also browse the site to find other great freebies. Thank you for your understanding. We have lots more free printables for you. Check out some of the links below for a variety of freebies for your crafting projects. 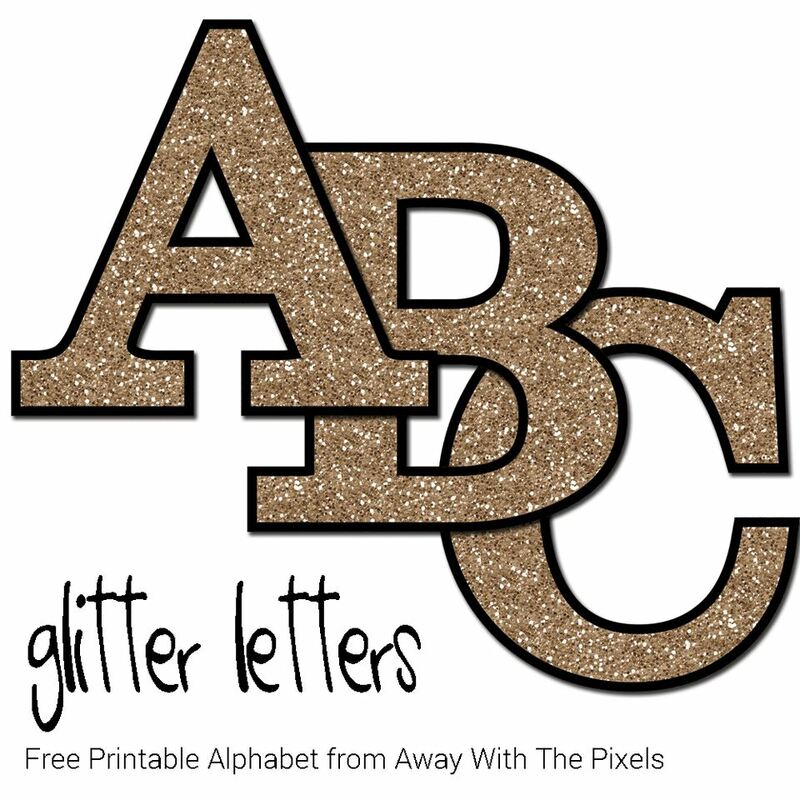 Here's a glitter letter A to download and print. To download this file click on the links below (be aware that these are large files and may take some time to download). This letter B has a glitter pattern and is free for you to download following the links below. Printable letter C with a glitter pattern for you to download and add to your handmade cards and scrapbook projects. Follow the links below to download this page. Here's a glitter letter D to print. Follow the links below to download these pages. This glitter letter E is perfect for your handmade cards and scrapbook projects. Follow the links below to download these large files. Here's a free glitter letter F to download and print. Check out the links below to download the large files. This printable glitter letter G is part of our printable number set. Download the number 5 file below. This free letter H has a sparkly glitter pattern and is free for you to download using the links below. Here's a free glitter letter I for you to download and add to your handmade card and scrapbooking projects. This glitter letter J is free for you to download. The large files are available to download below. This glitter letter K is free for you to download. The large files are available to download below. This glitter letter L is free for you to download. The large files are available to download below. This glitter letter M is free for you to download. The large files are available to download below. This glitter letter N is free for you to download. The large files are available to download below. This glitter letter Ñ is free for you to download. The large files are available to download below.